As part of its new corporate identity, Honda Cars India plans to revamp its sales network across the country. The update will cover over 400 dealerships. Honda plans to do this in a span of three years with an investment of Rs 270 crores. Dealerships are likely to adopt a new design with revised exteriors with new colour schemes, interiors and new customer interface. The exterior is expected to feature bold logos to stand out in the urban environment and large red coloured entry portals. Company will use various things including 75 inch LED screens to display product explanation videos. A separate car display area with customer interaction zone and clutter-free environment is also expected. Honda might also include a digital workshop management system called iWorkshop. This will help provide real-time updates and more holistic after sales experience to the customers. The revamp is coming after a period of 8 to 10 years as a result of changing customer needs and behaviour. Honda currently has 350 showrooms across 239 cities across the country and they plan to launch another 70 outlets in the next couple of years. The modernization of our dealer network is part of our effort to provide the highest level of premium retail experience to our customers. Customer experience at our dealerships has a lasting impact on their perception towards our brand. All the elements of the new identity have been designed keeping in mind the needs and requirement of modern day customers. 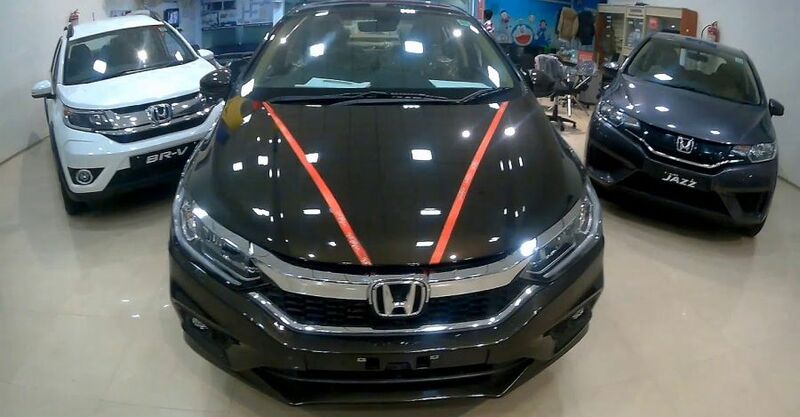 He also added that they were confident that the new experience at Honda showrooms will amplify the buying experience for customers and joy of selling for their staff at various dealerships. Over the past few years, a slew of automaker have revamped their dealerships to make them more attractive to customers. Maruti even branched out to a premium dealership format called NEXA. A few years ago, Tata Motors made its dealerships more attractive while Mahindra has recently undertaken a dealership revamp apart from adding a new premium section to retail the Alturas luxury SUV. Honda Cars India Ltd (HCIL) recorded a strong double-digit growth of 23 percent in the month January 2019. Compared to January 2018 Honda sold 3,423 units more in January 2019. The second-generation Honda Amaze was the best performer for the Japanese manufacturer in India followed by WR-V and consistent volume generator Honda City sedan .Honda Cars India has registered a cumulative sales growth of 5.7 percent in the ongoing financial year. They sold 1,53,058 units, as compared with 1,44,802 units in last financial year.